This week, the age-old Cowboys and Indians trope gets a new coat of paint. Cowbots and Aliens is one of the top picks from this group, looking like a formidable and exciting multiplayer PVP shooter. 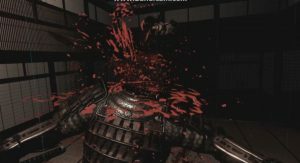 The other HTC Vive releases are highlighted by samurais, a gun sim, and a touching short film. Death Dojo puts a sword in your hand and you must parry, dodge, and attack your way to becoming the ultimate samurai. The creators of BLACK put their FPS pedigree to work and give us the weapon simulator Lethal VR. Plus, there’s a VR animated film called Please State Your Name where the protagonist can only say those words as he navigates his way out of a garbage facility. In the meantime, if you missed last week, you can see those new releases here. And don’t forget that UploadVR has a Steam community group, complete with a curated list of recommendations so that you don’t have to waste any money finding out what’s good in the world of VR. In this tower defense game, you manage your army as if manipulating a huge table-top strategy game. Use skills and props to stop enemies while collecting coins, which you’ll use to enhance your buildings. Recommendation: Inexpensive title that’s fairly solid even in Early Access. The immersion of virtual reality is utilized in a practical way for Speech Trainer, helping users to overcome a fear of speaking in front of crowds. You use one of the controllers as a microphone and can even upload slides into the program in order to closely emulate your presentation. Recommendation: Really neat tool if you need the help. Percussive VR is a collection of virtual percussion instrumentals upon which you can play, practice, or perform. In its current form in Early Access, you have the marimba, steelpan, and glockenspiel available to you with more to come. Recommendation: If you’re interested in learning these instrumentals, this is a cool way to get some practice in without shelling out for the instruments themselves. This pirate themed tower defense has you defending the town of Bridgewater as the coastal village is overrun with pirates. They seek treasure but you’ve been employed to defend at all costs and be rewarded for every pirate you take down. Recommendation: Pass, there’s not much to it. Currently in Early Access, Sorcerers of Kinetics is an online multiplayer battle arena where players sling around various spells. Your arsenal includes ranged spells, heals, shielding, and more that are either cast via your weapon or by hand. Recommendation: Keep an eye on it in Early Access for now. Player count will be key for this game’s success. The fantasy world of Craft Keep VR employs you as an alchemist/blacksmith, forging weapons and brewing potions for the local adventurers. Recommendation: Cool concept that should be a lot of fun even in early access. Give it a go. Bullet-hell video games can be some of the most intense experiences one can have as you attack enemies while dodging waves and waves of bullets that engulf you in different patterns. Holo Impact is that in VR, meaning you have to watch yourself from every direction. Recommendation: Grab it. Lots of arcade fun to be had here. Evolution VR is an Early Access title that gives you your own alien creature to control, cultivate and customize with body parts you find in the aquatic space. Over time it will evolve and climb the food chain. Recommendation: Free and interesting concept. Grab it. In this application, users build molecules like Carbon and Oxygen in a molecular visualization space. Recommendation: Very narrow user base for this. Pass unless you’re incredibly fascinated by building molecules. Viking Escape is a brief escape-the-room experience where you’re trapped in an ancient Viking tomb. Complete the puzzles and you’ll be able to enter Valhalla. This genre has been getting a lot of VR love as of late. Recommendation: Pretty inexpensive addition to your collection. Are you mathematics fanatic? If so you’ll have a blast manipulating and exploring vectors and creating your own vector field in Calcflow. Recommendation: Most people will want to pass on this one. In this archery tower defense game, you control the Queen while defending her kingdom. Tackle waves and climb the leaderboards. Recommendation: There are better tower defense games available for cheaper prices. Pass. The Fastest Fist isn’t just a simple boxing game. With this title, the developers want to provide a tool for you to actually work on your reaction time and technique, meaning it doubles as an actual work out as well. Recommendation: Solid addition to a collection of games focused on giving you a workout. A departure from the usual VR titles, Lonelyland VR is a sandbox survival game. You’ll collect, build, hunt, and fight to live as long as you can in this post-apocalyptic world. Recommendation: Interesting concept with poor production values. The genre has promise, but it’s not there yet. Z’code, from Shenzhen Weilaishijie Network Technology Co., Ltd.
Z’code is a sci-fi first-person shooter where you control a massive mech from the cockpit perspective. Recommendation: Has potential but may get you sick with its current set up. Keep an eye on it. Take command of your fleet as you seek out hidden assailants in VR Battle Grid, a VR take on the classic Battleship board game. Don your finest armor and sharpen your blades, Death Dojo has arrived. In this one on one samurai deathmatch, players will have to be patient and swift as they fight to become the greatest swordsman. Recommendation: At free, this is an absolute steal. In Invaders! players are tossed into the retro classic Space Invaders game from the VR perspective. This game doesn’t add a new look to the experience, instead opting to retain the classic style. Recommendation: Add this to your VR retro collection. The creators of BLACK and Burnout use their gaming pedigree to deliver a badass VR weapons simulator. There are various challenges to engage in from quick draw to knife throwing to sharpshooting. This title puts a spin on the cliche cowboys and Indians theme in a PvP multiplayer shootout. The game utilizes a free-form teleport mode and versatile physics system that lets you use everything around you as a weapon. Recommendation: Once of the better multiplayer experiences. Grab it. A simple premise where you find yourself locked in an unfamiliar basement is bolstered by over a dozen puzzles over 130 square meters with over 200 items to interact with. Recommendation: Give it a go and challenge friends if you’re not tired of these already. PSYN is a short film telling the tale of a small robot head that can only say “Please State Your Name” and is trying to escape a garbage facility. Recommendation: May be confusing at times, but is a charming little film. Definitely watch.